Months fly by in a jiffy. Harking back, they seem to dissociate into powdery thin bits of the past, those moments that arrived into your life with magnanimous gestures. Few of them manage to remain equally important several days from the happening, but few others fail irrevocably. Maybe it’s an idea worth upholding to jot down nitbits from the past,however trivial they may seem in the big picture, so that several years down the lane you would find yourself sweeping away the dust from the attic only to confront the long forgotten gems of your life, the things that made you who you are. October was thrilling. It offered joy so did it dampen the good spirits with a few heart aches. Isnt it necessary that one keeps miseries close to ones heart just like the goodnesses that life offers, you may ask. Life builds itself up from the pitfalls, I say. Let us consider a situation. I get scolded for a shortcoming of mine which cost someone else pain and subsequently I get punished for the same . I scream at the cruelty of fate, how it focusses on busting me rather than uplifting my days every time. I ponder over the event a day later once the bitten mind of mine has pacified and I see things in a different perspective. Was fate wrong ? Or was my judgement ? I take care never to repeat the mistake, never to let my deeds punish me a second time, pushing me over the abyss. Life is such. You learn to be right once a mishap beholds you. You learn to keep growing once success garnishes you. 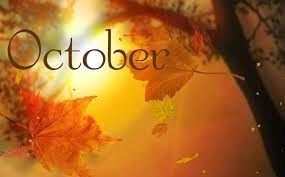 October has seen it all. My smile, my tears, my surprise and my dejections. So a thought raved inside my mind as to whether I should be jotting down the same so that I would give life to my past a second time. And here I am with my memoir of the beauty this October was. ‘Every theatre day felt like a distressing event to me in the beginning . And before long, my decision to take up a surgical field had started morphing into an irrevocable mistake to me, bogging me down. Though I could conjure up the courage to perform the surgeries in the same way as my teachers taught me, the thought of standing beside the surgery table waiting to paint and drape the patient as the anesthesiologist skillfully induced the patient, pricked my conscious being like nothing else. ‘ Life is not a bed of roses. There are times when you are thrashed to the shore by reality while you were engulfed in the peacefulness of sailing the sea. I have a word or two for myself for those times, words that were passed down over generations in view of the priceless truth that they carried – ‘ This too shall pass’. 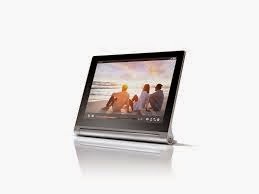 A brand new Lenovo Yoga 2 Tablet! When a friend first suggested it to me i was apprehensive for i have had my share of dejections when my heart went out for products that were less in demand. But two weeks from procuring this one, i must say i haven’t experienced anything like this in my whole life when it came to the technology front. A silver ring with an emerald stone at the centre – a gift from a senior who left for her native place after her post graduation. The dept of ENT at my college decided to go on a one day trip to a resort last month. I would say that it was a once in a lifetime experience what with my professors dancing their heart out rapaciously to Bollywood and A.R.Rahman music! I wouldn’t lie, but i had my share of the bliss of a hammock for the first time ever in my life. We had such amazing time in the pool and then at the beach that the decision is on for another trip of the like in three months time! Serious men by Manu Joseph and A bad character by Deepti Kapoor. Owing to busy schedules i had started selecting books to read based on their reviews and thankfully i didnt go wrong in my decision for those two books were stupendous works of fiction! The Ring. Having watched it for the umpteenth time, relaxed and slumped down on my couch, i felt satiated, which rarely happened these days while rushing through carelessly selected movies in between hectic duties. The post is so sorted 🙂 Speaks of the kind of person you are… Glad you had a great month, Happy November to you..
Hi Maliny, so glad I found you blog site again after a long time. Hope to see you in mine sometime.